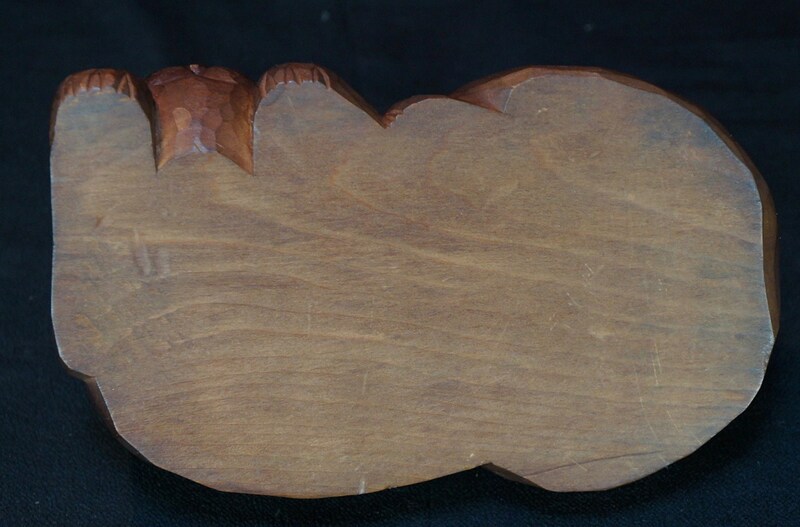 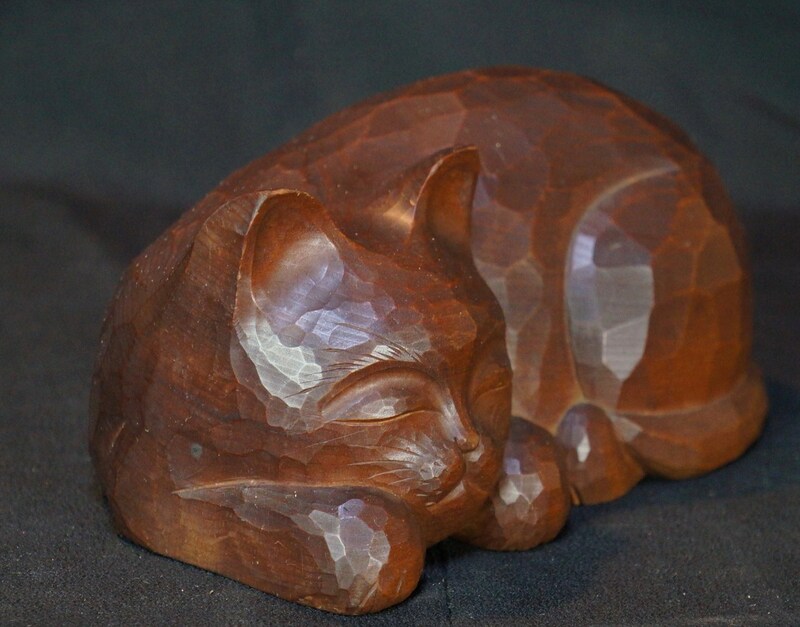 Japan Neko Kibori wood carving sculpture 1950s Japanese art craft. 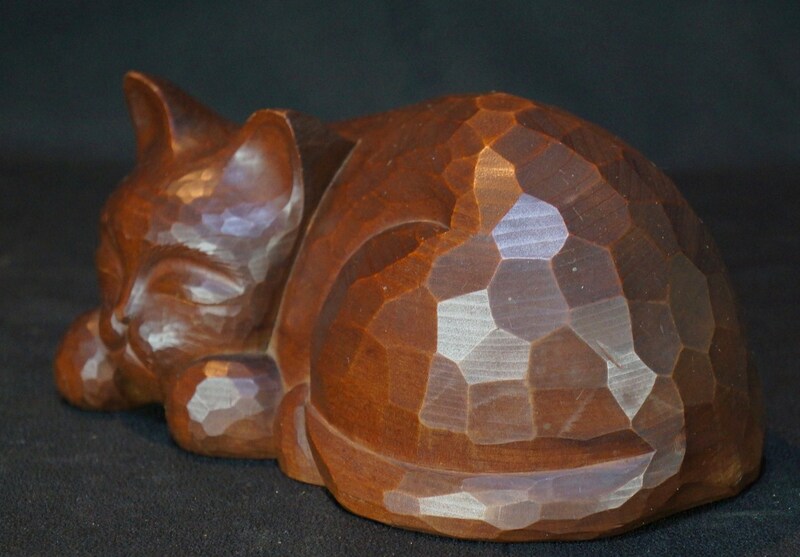 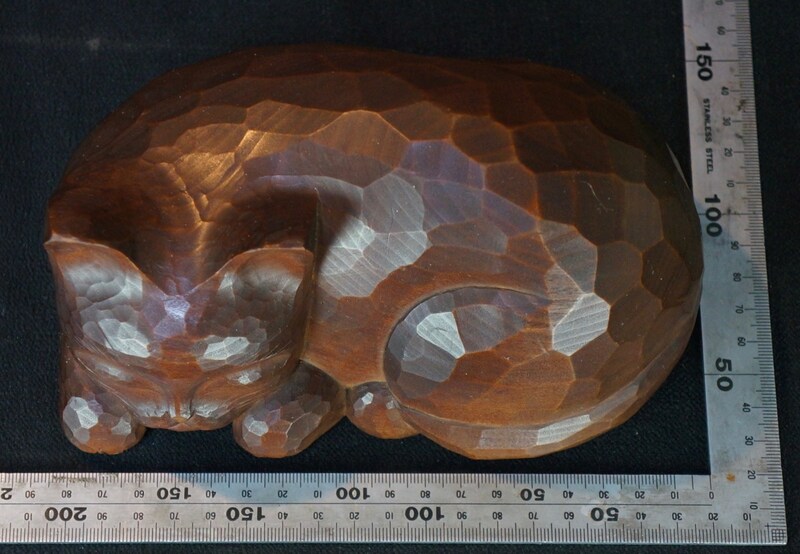 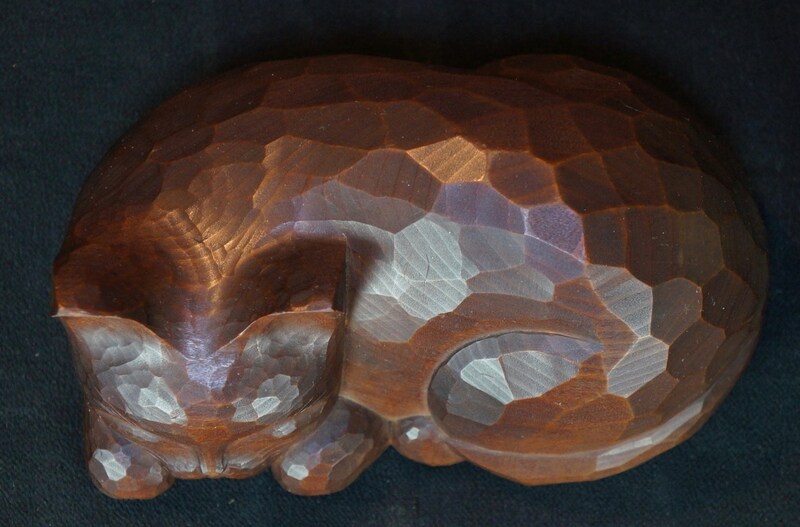 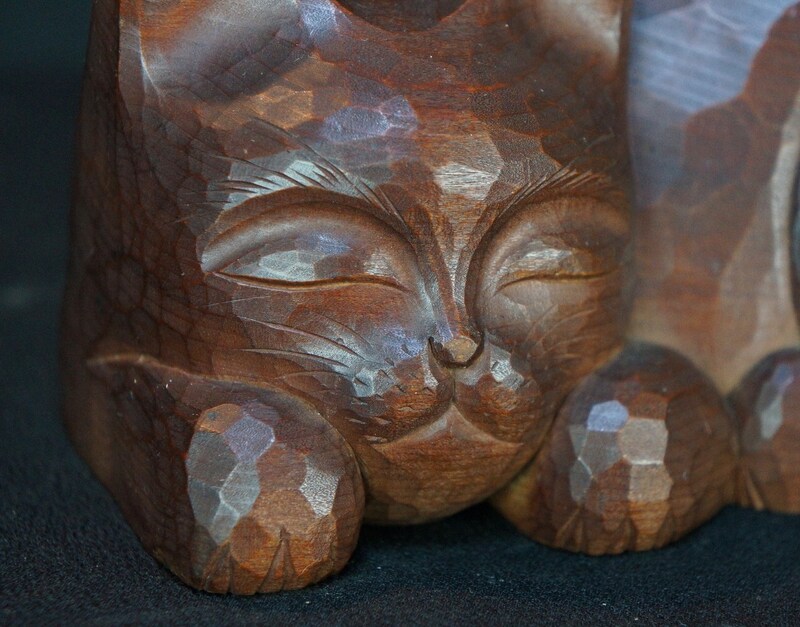 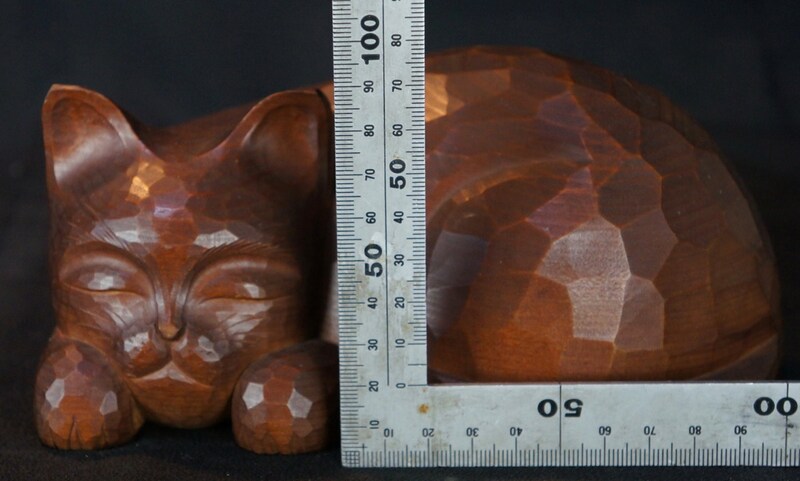 Very nice Japanese Neko Kibori cat wood carving from single wood block, very nicelly carved with expressive face and nice patina. 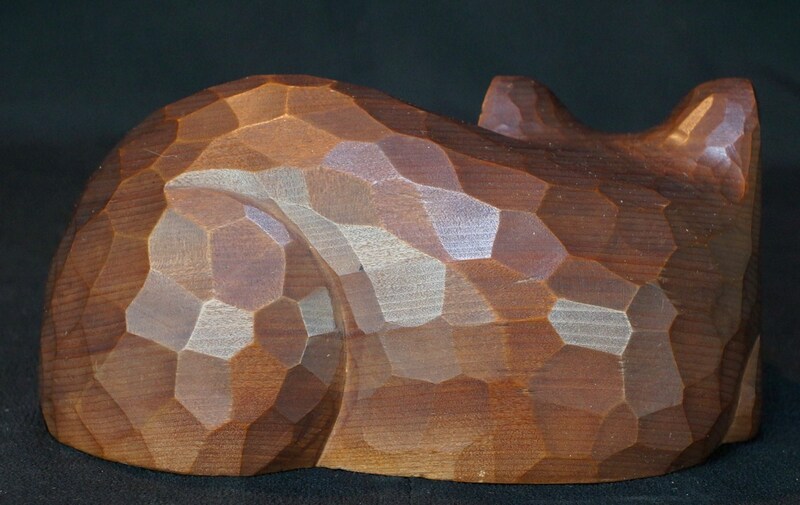 Good conditions, no wear marks. 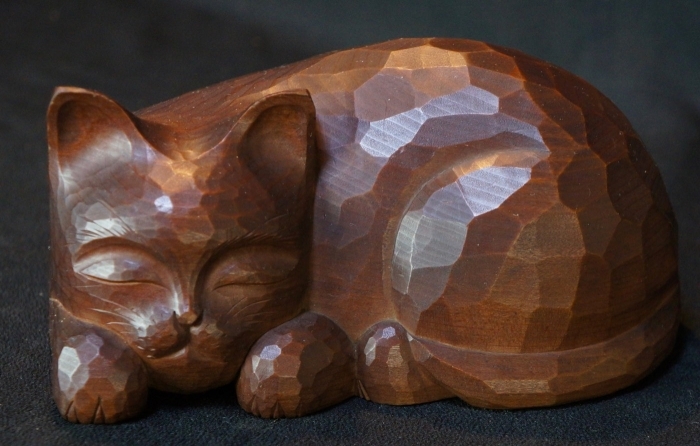 Conditions: very good, no wear marks, no broken parts, please see photos.